Perhaps you’re ready to sit back and enjoy the granite counter tops and open layout. Maybe you purchased a fixer upper and you’re ready to roll up your sleeves and make it the home of your dreams. In any case, purchasing a home is filled with anticipation, excitement… and unforeseen expenses. Particularly for prior renters, the extra responsibilities and costs associated with home ownership can come as a surprise. Lawn care, appliance purchases and maintenance, property taxes, and home furnishings add up quickly. This is in addition to the tweaks that make the house uniquely yours—fresh paint, new fixtures, hardware updates, and more. Finally, there are the costs that haven’t happened yet, such as energy inefficiencies, plumbing issues, and safety failures that can arise in any home. Washington Energy Services can help curb these potential costs before they start with a Home Energy Audit or Plumbing Inspection. The home inspection you received when you purchased your home only told part of the story. 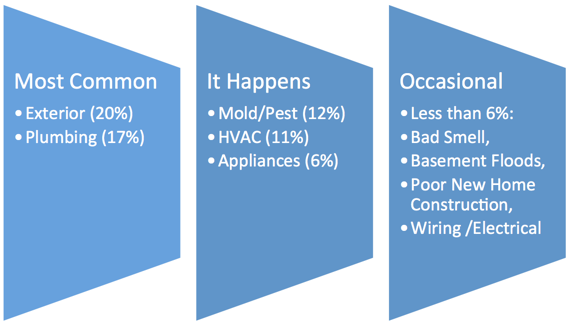 The Home Energy Audit from Washington Energy Services tells you the rest. You’ll learn where energy is being wasted, how much it’s really costing you, and what you can do to improve the performance of your home to save money. In fact, we’ve saved our customers an average of 21% in energy usage following Home Energy Audits! After the three-hour audit, you’ll receive a comprehensive 16-page report, which we’ll review with you in-person so you fully understand the findings and get your questions answered. Plumbing issues are messy, frustrating, and costly. 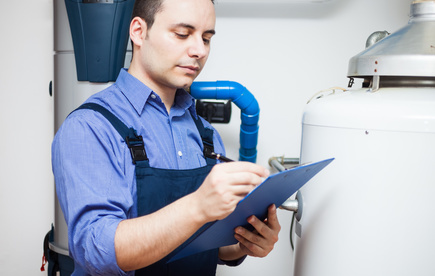 A thorough plumbing inspection by a certified, licensed plumber can make all the difference. Unlike a standard home inspection, which typically includes a simple visual check of the fixtures and water heater, a plumbing inspection from Washington Energy Services provides a video inspection of the entire plumbing system to spot major issues—potentially saving thousands of dollars down the road. Keep an eye on the “little things” like furnace filters, too. A dirty filter causes your system to work harder and could cause it to fail prematurely. Managing water is important here in the Northwest. Siding protects your home’s exterior while gutters help move all that rainwater from of your roof and away from your foundation. Old leaky and drafty windows also put a strain on your home’s systems. If you think your home is in need of new windows, one of our home specialists would be happy to evaluate your current situation. New windows now can mean energy savings in the long run and potentially preventing costly water damage should there be an existing leak. But you don’t have to talk all of this alone! Sit back, enjoy those granite counter tops, and contact us. We’ll boost your home’s performance and energy savings so you can use that money for something awesome—like those new appliances you’ve been eyeing.